As the Lord Ayyappa temple opens on November 5 for a special puja, a thick security cover has been put in place after violent protests were witnessed last month against entry of women of all ages into the shrine. Orders banning assembly of four or more people have been imposed in Sabarimala and nearby areas, police said Sunday. Around 2,300 personnel, including a 20-member commando team and 100 women, have been deployed to ensure smooth 'darshan' and security of devotees, a move that came in for criticism from the erstwhile royal family of Pandalam, the BJP and the Congress for such fortification. Pathnamthitta Superintendent of Police T Narayanan told PTI that all arrangements have been made for devotees to have smooth 'darshan.' Ayyappa devotees from Andhra Pradesh and Tamil Nadu have already reached Erumeli and they will be permitted to go to 'sannidhanam' only tomorrow. Prohibitory orders under Section 144 of CrPc, banning assembly of four or more people, is in force at Pamba, Nilackal, Elavungal, and Sannidhanam for 72 hours from midnight Saturday. The shrine would open at 5.00 pm on November 5 for the "Sree Chitira Atta Thirunal" special puja slated for the next day, marking the birthday of last king of Travancore Chithira Thirunal Balarama Varma, and close at 10.00 pm on that day. Devaswom minister, Kadakampally Surendran, said the government would ensure complete protection to believers. So far no women in the 'barred' age group had approached police for protection to offer prayers at the hill shrine, he said. A high level meeting of senior police officers was held to take stock of the situation. During last month's pujas, media persons were attacked by a section of protesters and police had to face criticism. 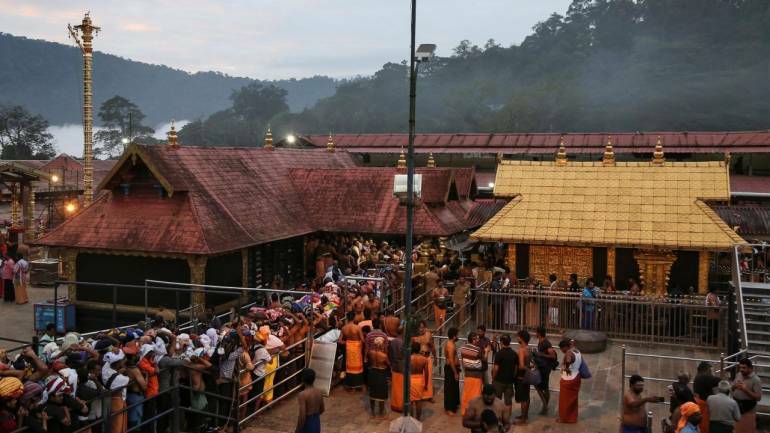 Dismissing reports that media was being restrained from going to Sabarimala, Kerala Director General of Police Loknath Behara said there was no bar on entry of journalists. The Pandalam royal family, closely associated with the Ayyappa shrine, said it was "pained" at the heavy security in and around Sabarimala. "Saddened that devotees will have to offer prayers at the shrine amid thick police cover," it said. Meanwhile, the Sabarimala Karma Samiti, a platform of right-wing outfits, including VHP, appealed to media houses not to depute women journalists in the menstrual age group to cover the developments in Sabarimala. 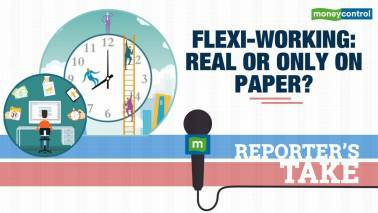 In its letter to editors, a copy of which was released to the media, it said even the entry of women journalists belonging to this age group as part of their job was also likely to aggravate the situation. The samiti alleged that even though the Supreme Court has decided to hear the review and writ petitions on the issue on November 13, the state government was intentionally ignoring the "mass movement" against the judgement and was trying to "hastily" enforce it using police force. "In such a situation, the devotees are left with no other choice but to continue with the peaceful agitation," it said. "We believe that the Samithi's stand amounts to depriving women journalists of their right to respond to the call of professional duty and responsiblity. It also goes against the freedom of expression and right to information that are fundamental rights to which all citizens are entitled," it said. Meanwhile, activist Rahul Easwar, president of Ayyappa Dharma Sena that is among the outfits spearheading the protests, in a video message said, "Like police, we are also fully prepared". Easwar, belonging to the Thazhamon family of Sabarimala thantris, was arrested twice last month in connection with the protests in and and around Sabarimala against the government's decision to implement the court verdict and also for making certain remarks. He is out on bail. Noting that the situation in Sabarimala was "explosive," Kerala Pradesh Congress Committee president Mullapally Ramachandran accused the CPI(M)-led LDF government of 'failing' to handle it. Thousands of police personnel had been deployed in Sabarimala which was akin to "challenging and suppressing" the devotees, he alleged. BJP leader M T Ramesh warned that any attempt by police to hinder devotees from visiting Sabarimala would lead to "serious repercussions." Police would not be allowed to inspect the 'irumudikettu' (offerings devotees carry for lord ayyappa), he said. So far, 3,731 people have been arrested and 545 cases registered in connection with last month's violence. BJP and various Hindu outfits are on a warpath against the Left-front government over its decision not to seek a review of the top court verdict.